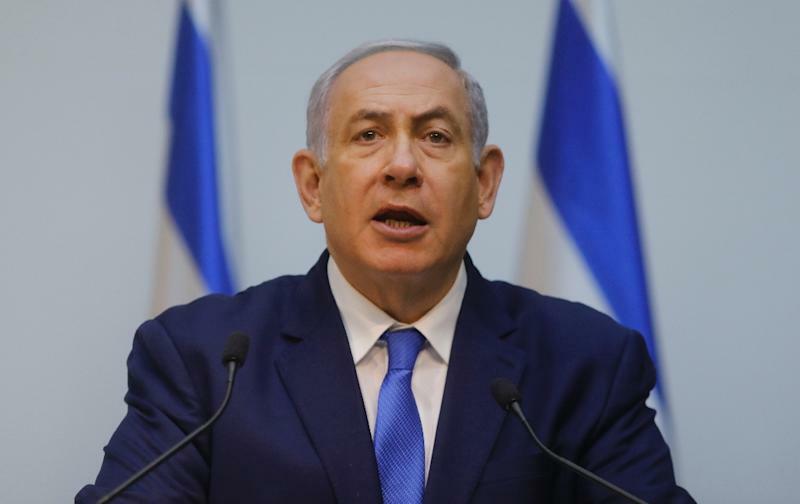 Jerusalem (AFP) - Prime Minister Benjamin Netanyahu said Tuesday that the Israeli army's operation to locate and destroy cross-border tunnels dug by Hezbollah from Lebanon was near completion. "The IDF (Israeli army) briefed us on its actions in neutralising the tunnels," Netanyahu said. "This operation is nearly done." "There has been exceptional work here to deny Hezbollah the tunnels weapon," he said in remarks relayed by his office. On Friday the army said it had blown up one cross-border tunnel dug by Hezbollah from Lebanon, the first of four it has uncovered -- and pledged to destroy -- in recent weeks. On Sunday, Netanyahu said that forces sealed another "terror tunnel" with cement. In launching an operation to cut off the tunnels on December 4, Israel's military said it located four underground passageways infiltrating Israeli territory. In November, defence minister Avigdor Lieberman stepped down over a controversial Gaza ceasefire deal, with Netanyahu said it would be "irresponsible" to go to elections due to an unspecified security situation facing the country. The highly publicised Israeli operation to expose and destroy the tunnels -- on its territory -- has gone ahead without drawing a military response from Hezbollah.